Long favored by cruising riders because of their ruggedness and protection, ZTechnik® Heavy Duty™ Windshields are available in two heights for comfort, versatility and good looks. ZTechnik Heavy Duty windshields are not "universals". 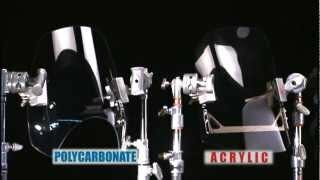 They use our model-specific Mount Kit (sold separately) to ensure excellent fitment, ease of installation, and flexible height adjustment. 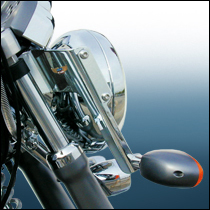 All Heavy Duty™ Windshield applications for BMW R Series C motorcycles require Mount Kit #KIT-BI. 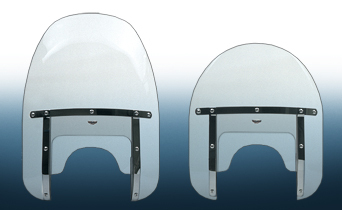 The Custom Heavy Duty™ and Low Boy Heavy Duty™ Windshields offer excellent wind protection, the perfect classic look, and the toughest windshield material available: Quantum® hardcoated Lexan® polycarbonate, exclusively from ZTechnik by National Cycle. 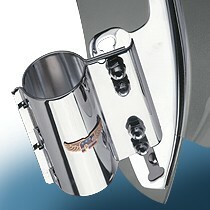 Heavy Duty Windshields mount to model-specific Heavy Duty Mount Kits for a guaranteed perfect fit. The Custom and Low Boy Heavy Duty™ are made from 4.0mm thick Lexan® polycarbonate with ZTechnik's exclusive Quantum® Hardcoating for the toughest, most scratch resistant windshield you can get... anywhere! Constructed of 4.0mm Quantum® hardcoated Lexan® polycarbonate for unbeatable impact and crack resistance, as well as excellent abrasion resistance.